Is it strange that a Korean restaurant is called “2 Days 1 Night”? Isaac told me that it is named after a Korean TV drama. When I took the first bite, I was like WOW. 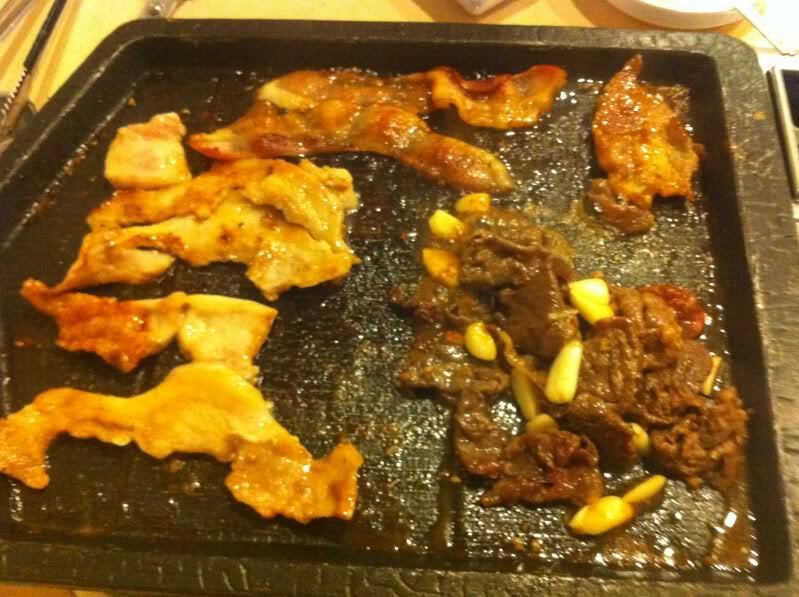 Isaac said, “Please, is it really that good?” This is actually the first time I ate Korean grill. I usually hate Korean, hate kim chi, hate bimbibak, hate most Korean food. You know it’s good when the waiters and waitresses are all Koreans, so are most of the patrons. The service staff assume everyone is Korean, so they spoke to us in Korean. And wow, the waiters are CUTE. I want to go to Korea now. Cons: your clothes smell; too little variety; everything is marinated in the same or almost same sauce.